Cologne 1949 in the post-war period, between the new start and development. Married couple Agnes and Fritz Kemp operated a deposit point for the municipal pawn shop of Cologne. After eleven years of work as pawn intermediaries, they both came to a decision, which is considered very brave for the time. In 1960 the couple went independent with their own shop in the Sülz district and with this laid the foundation for the present successful company of Cologne. Already in 1964 they opened their second branch in the Cologne Kalk on the right bank of the Rhine and expanded four years later in Cologne’s city centre. In 1974, their only son Günter Kemp, a trained watchmaker, took over the individual companies from his parents and continued to run the shops belonging to the family company. He also filled important positions within the German pawn credit system. Under his management the new branch in Cologne Ehrenfeld was opened in 1986. In 1990 he carried out the company conversion into GmbH. There were subsequent shop openings, in 1993 in Cologne Nippes and in 2000 in Cologne Mülheim. Grandson Oliver joined the company in 1990. At this point there were three generations working together and successfully in the pawn shop. In 1993 Oliver Kemp ended his journeyman’s years of service and completed his qualification in the German trade as a master goldsmith. In 1998 he became a manager and has been a shareholder in the company since 2014. The catchment area stretches across the greater area of Cologne, Leverkusen, Bergisch Gladbach, Siegburg, Bonn, Euskirchen, Gummersbach right through until Düren. We are a company rich in tradition, which is now run by the third generation. We are here 6x in Cologne. 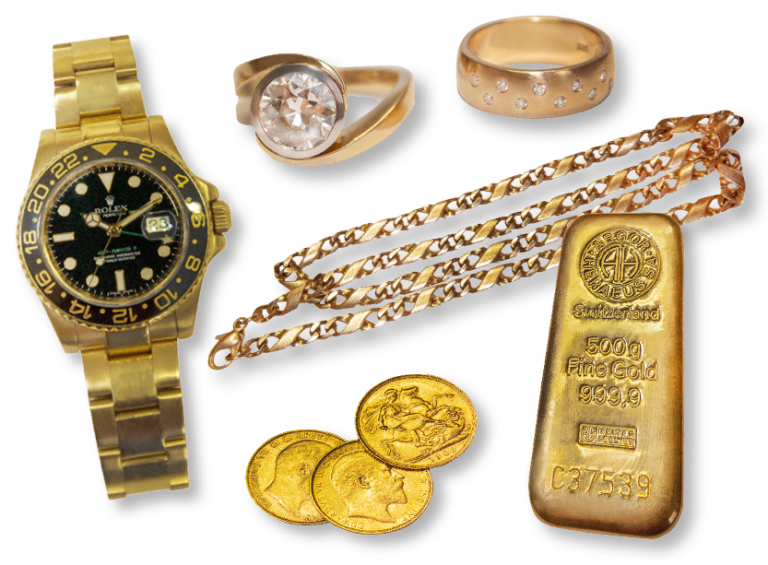 Alongside the classic collateral loans, we offer an extensive provision of select jewellery items and watches.